It was a great privilege to have known and worked with Joseph Duffy (Joe for short). He was a truly remarkable person with great warmth, joviality and a tremendous sense of humour. Throughout his working life Joe served the educational community of Northern Ireland in various capacities. Having an interest in and a gift for languages, he began his career as a teacher of Spanish and Irish at St Colman’s College, Newry, County Armagh. Joe was known as a very caring person in whatever role he occupied at the time. As a young man, he took a keen interest in the wellbeing of learning-disabled children and volunteered to work with them on a regular basis. This led him towards an interest in educational psychology. Having completed his MSc in Educational and Child Psychology in 1989, he worked for the South Eastern Education and Library Board, becoming a specialist senior EP working with children and young people with a range of social emotional and mental health difficulties. The needs of the children and young people were for him always the highest priority. In 2007 Joe joined the tutor team for the Doctorate in Educational, Child and Adolescent Psychology (DECAP) programme in Queen’s University Belfast (QUB) and ultimately became Programme Director in 2016. In all of these roles Joe displayed an approachable manner and he instilled confidence in those he worked with. Ethically strong, Joe was committed to inclusive and accessible education, and through his work he promoted the emotional wellbeing and educational attainment of at-risk children on the periphery of the educational system. 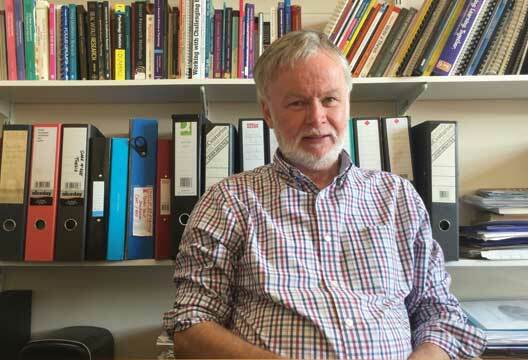 Joe’s co-workers will remember him for his contribution to the field of educational psychology, particularly in the areas of inclusion, positive psychology and consultation, and also for his great skill as a tutor, encourager and developer of students. These skills were recognised when, in 2014, Joe was nominated by DECAP students to receive an award for his contribution to teaching and supervision in QUB. Outside of work Joe drew great pleasure in the role of family man. He was devoted to his wife Jacinta and his sons Niall and Conor, and together they enjoyed many holidays, travelling extensively in North America and Europe. Joe had a wide circle of friends, and among his many interests and pastimes he included music, drama, food and wine. He was a very well-rounded person, always open to others and having a keen sense of the community in which he worked. Joe met his final illness with courage, acceptance, dignity and not a little humour. Throughout his illness he maintained an outward focus, often asking about others before they had a chance to ask about him. He was always considerate of others’ needs above his own. Modest at all times, he was truly proud and appreciative of the support he received from the community, his colleagues, family and friends. Joe passed away on the 30 June 2018 at the age of 61. He is, and will continue to be, missed as a treasured colleague and someone who had a positive impact on so many lives both professionally and personally.